Into the Blue by Alice Wallace is burst of sunshine in your ears Reviewed by Patrick O’Heffernan on January 21, 2019 . The album has ten songs plus a bonus tune– each carefully crafted. There are no fillers, no oldies from the catalog to pad the album out. “In the last few years when I write songs, I spend a lot of time with them so when we sat down and presented these songs they all felt right, and we didn’t need to dig deeper into my catalog – even though I didn’t write them with a certain theme in mind, they ended up being about California and the Southwest and my experiences out here – it felt very cohesive”, she explains. A blank page waiting for a line/A metronome just marking time/And now you stand right at the edge/Of where you’ll go and where you’ve been. I fought fires in Hollywood Hills in high school and I will never forget what it smelled and felt like. If you close your eyes and listen to Wallace sing “Santa Ana Winds” you are there, feeling the smoke in your throat and bits of other people’s memories crunch beneath your feet as you evacuate. When Wallace performs the two songs on the album that directly address women, their role and predicament in our society, her audience – especially the female audience – listens closely. You’ll never find a love like mine/And you’ll always be safe with me/They found her lying on the floor she sings in the cautionary tale “Desert Rose” about a young Latina abandoned by her lover to give birth on a gas station restroom floor in El Paso. The warning is more explicit when she sings in “Elephants”, Walk with a purpose through the parking lot/Keys ‘tween your knuckles cause you aint got claws/Rememberin’ when your daddy taught you that/Boys will be boys you gotta watch your back. She is one of the women who is shifting that culture, especially with this album. Into the Blue has had over 2 million streams, the Palomino Club was opened especially for her, and she has released the album on the new Rebelle Road Records, a label founded by three women – promoter and producer Karen Rappaport McHugh, singer and songwriter Kirsten “KP” Hawthorn, and artist/businesswoman Adrienne Isom . 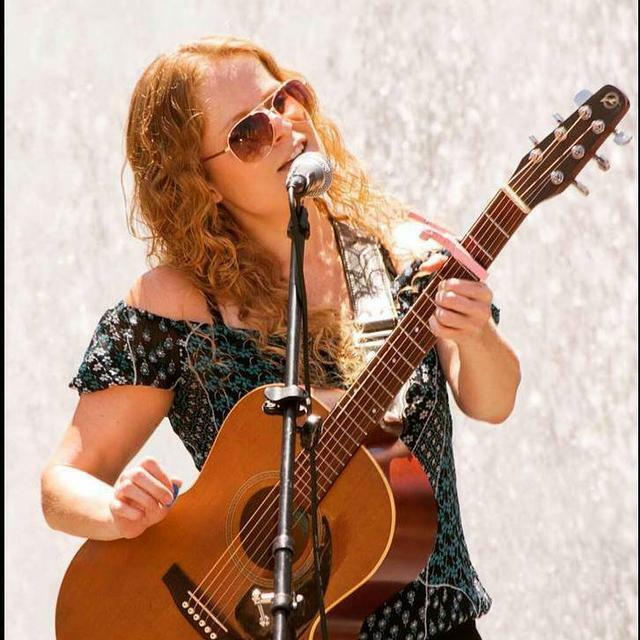 Rebelle Road’s mission is to redress the gender imbalance in the music industry while supporting and showcasing California Country music and Americana artists, especially women. Into the Blue is Rebelle Road’s debut album. Into the Blue was co-produced by Steve Berns and Rebelle Road’s KP Hawthorn. 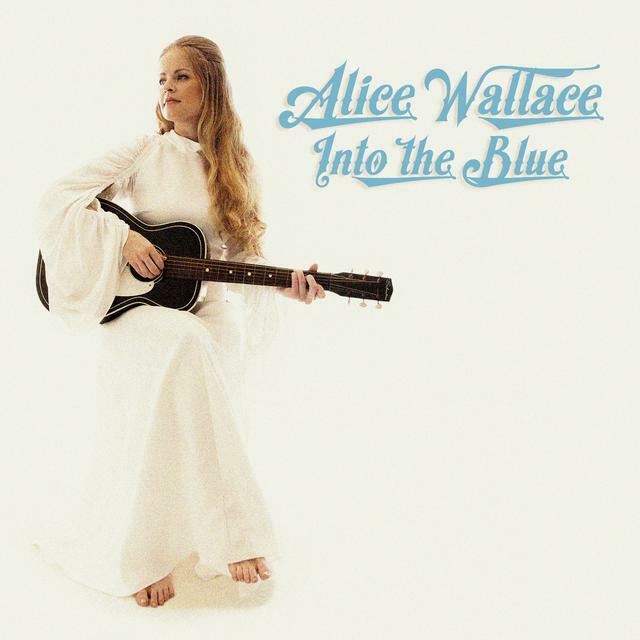 In recording Into the Blue, Wallace was backed by a studio band with violinist and string arranger Kaitlin Wolfberg, drummer Jay Bellerose, multi-instrumentalist Jeremy Long, bassist Jennifer Condos, and guitarist Tom Bremer – all stars in their own right. Each song is a masterpiece; the album is a tour de force of brilliance in songwriting, delivery and production from the rocking Americana song “The Lonely Talking” to the soaring, twangy “Echo Canyon”, to the deep country “Top of the World”. Her live band includes Wolfberg – whose violin comes equipped with a pedal box rivaling many guitarists’ and she knows how to use it – the incandescent Steve Omest on guitar, Austin Callendaer on bass, and drummer Matt Lucich. Alice loves performing and has done as many as 200 dates a year. With Into the Blue, Wallace has raised the bar for roots, country and Americana and raised her own standing in the industry and with fans. She and Rebelle Road Records may see Into the Blue break some glass ceilings in both radio play and festival bookings. The album is so good is has to take the charts by storm and make her phone ring for performance dates. That is what happens when you bring musical sunshine wherever you go. Into the Blue was released Jan 19, 2019 and is available on Spotify, iTunes, Amazon and Google Play..